PLEASE NOTE: The cheetah viewing area at the Cheetah Conservation Station is temporarily closed for renovation. The Smithsonian’s National Zoo’s Cheetah Conservation Station is home to more than just cheetahs. Zebras, red river hogs, sitatunga, and Abyssinian ground hornbills all reside here as well—along with some of the most threatened species in the world, including Dama gazelles and scimitar-horned oryx. Several animals at the Cheetah Conservation Station share space in mixed-species exhibits, providing the animals an opportunity to interact just as they would in their native habitats. 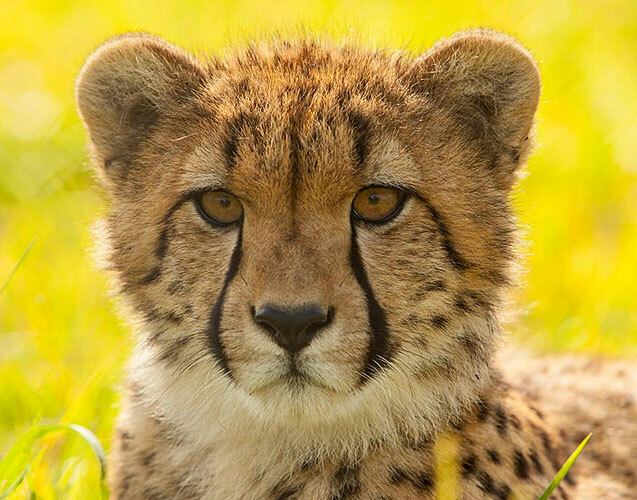 Scientists at the Zoo and Smithsonian Conservation Biology Institute have been studying the behavior, breeding, and health of many species at the Cheetah Conservation Station. At SCBI, biologists collect behavior and hormone data on cheetah populations to optimize breeding success.